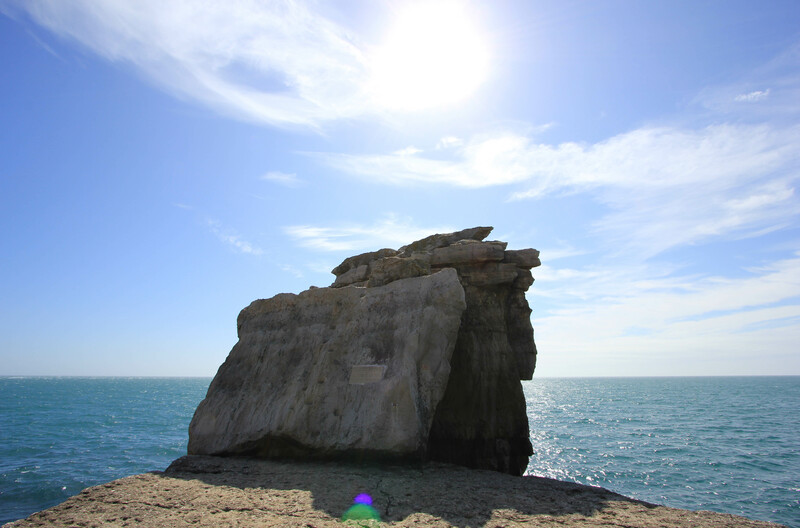 When the arch was cut away, Pulpit Rock was left intentionally as a quarrying relic, designed with religious connotations. The large slab of rock at the front, leaning on the main stack, represents an open bible leaning on a pulpit. It is a popular tourist attraction, and hand- and foot-holds have been cut into the bible to facilitate the short climb to the top. The top is relatively flat and offers expansive views. 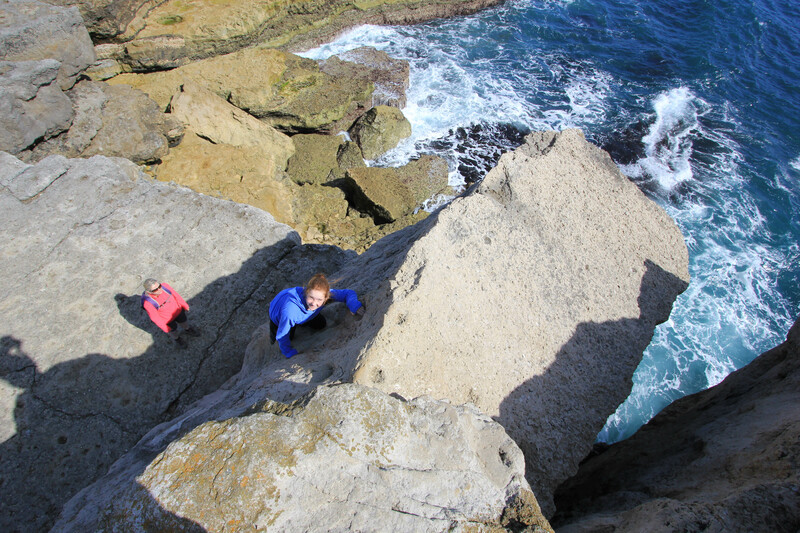 It’s quite a fun climb to do (clearly I was quite excited!) although in bad weather it is not advisable! Pulpit Rock is also a popular spot for fishing – in 1998 a Ballan Wrasse weighing a UK-record-breaking 9 lb 1 oz was caught here. Almost 20 years later the record still stands. 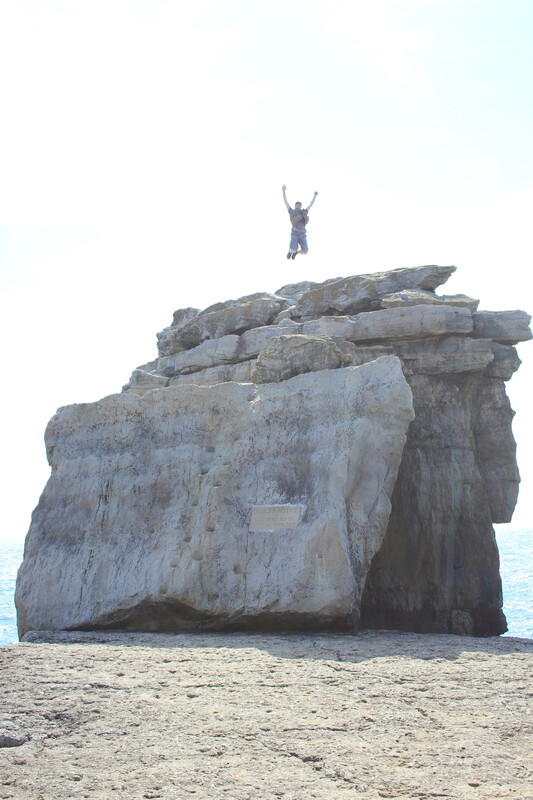 And it was here that we also set a personal record, for it was at Pulpit Rock that we hit the 700-mile mark on our walk around the Coast of Britain. 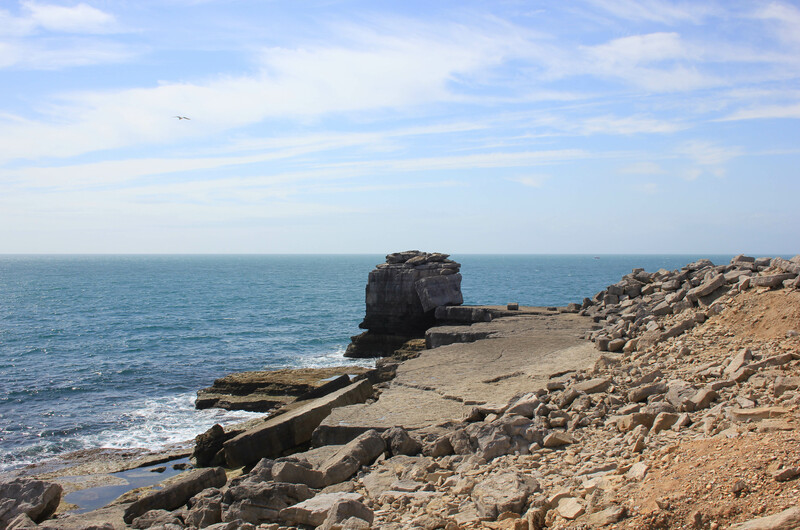 We said goodbye to Portland Bill, leaving the tourists to head off towards the quiet western side of the island and back to Chesil Beach and to continue our journey. 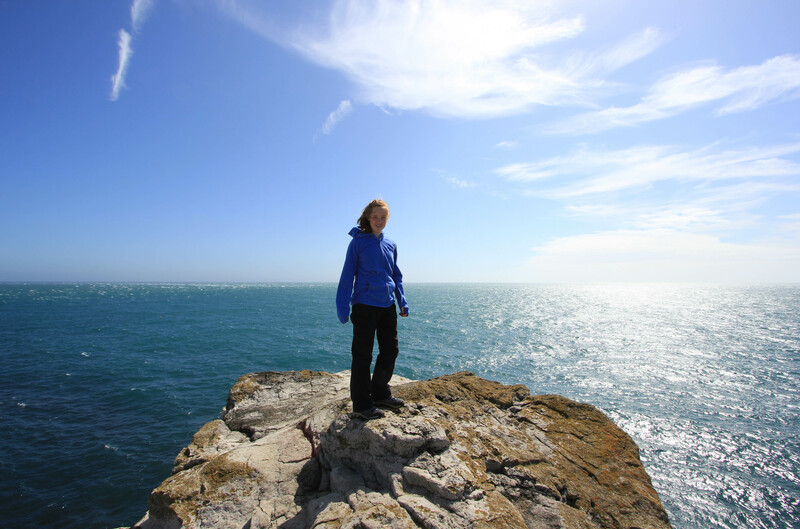 This entry was posted in Dorset and tagged coast, portland, Pulpit Rock, travel, walking. Bookmark the permalink.